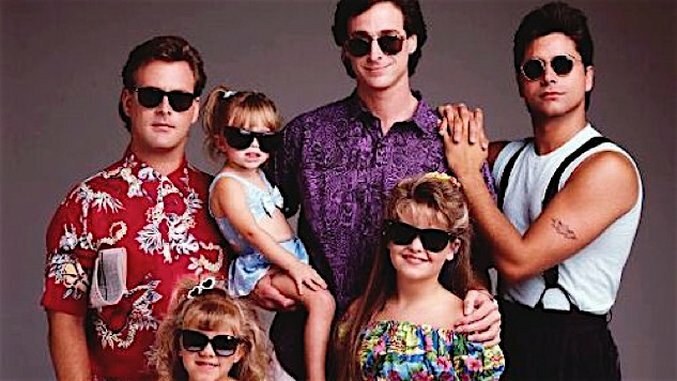 Full House is back on Netflix as Fuller House, and while it may not be doing well among the critics, some of us are finding a way to enjoy the reboot. This series is going to focus on the now grown-up generation. Kimmie is divorced, DJ is a widow, and Stephanie is a DJ and goes by DJ Tanner. I love seeing Jodie Sweetin acting again. I’ve written two fan letters in my life, and one of them was to Jodie Sweetin—judge me if you will. She sent me back a signed photograph, which I still have. There’ve been some meta jokes about how Uncle Joey/John Stamos has NOT aged (which I’m hoping is a Greek thing). I even enjoyed the tongue in cheek references about Michelle/Olsen twins not being able to visit due to her fashion empire. Now, I wonder if they’re going to eventually make any fourth wall-breaking jokes about Bob Saget’s NSFW humor. In the meantime, please enjoy some super-corny but enjoyable Full House memes.